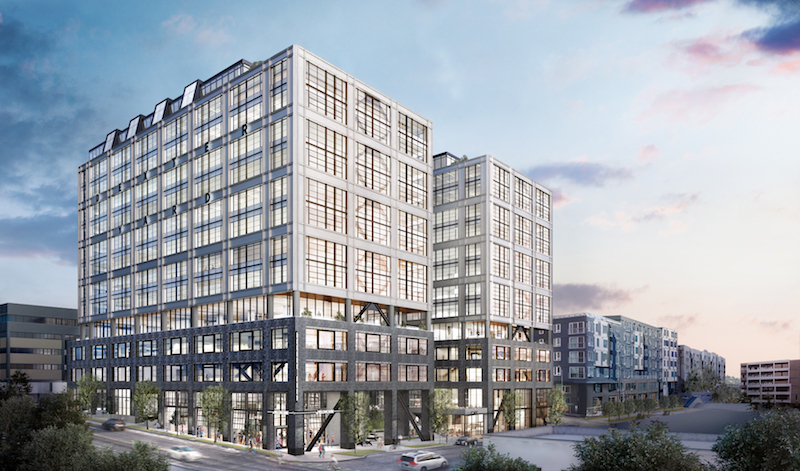 Comprising two connected 15-story, 175-foot-tall towers, Dexter Yard will bring 540,000 sf of mixed-use space to the South Lake Union neighborhood of Seattle. The SkB Architects-designed building will provide 515,000 sf of lab and office space and about 25,000 sf of ground floor retail. 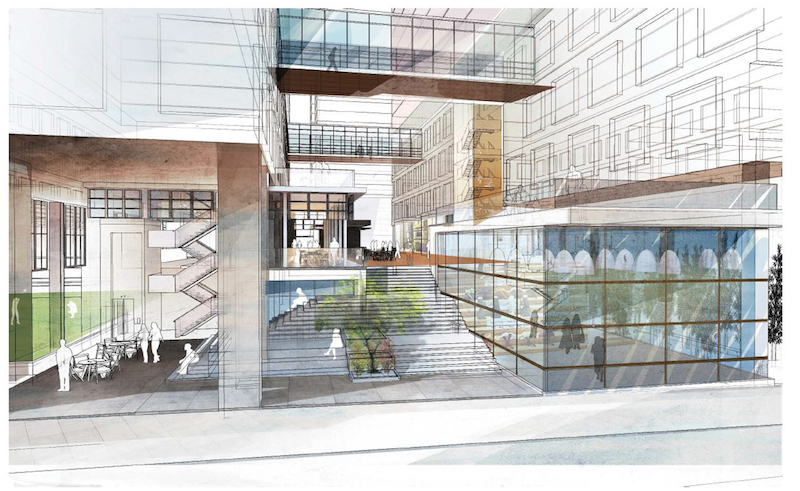 A pedestrian through-block passage will offer access to retail, office elevator lobbies, and an open gathering space, while also connecting the South Lake Union neighborhood and Lake Union. An interior open area, dubbed the Field House, can be reserved by building tenants and community groups. This space can host anything from concerts to indoor soccer games. The two-tower design helps to break down the overall scale of the project to better fit within the surrounding context; along Dexter Avenue to the north is a residential area and to the south and southeast exist commercial developments. 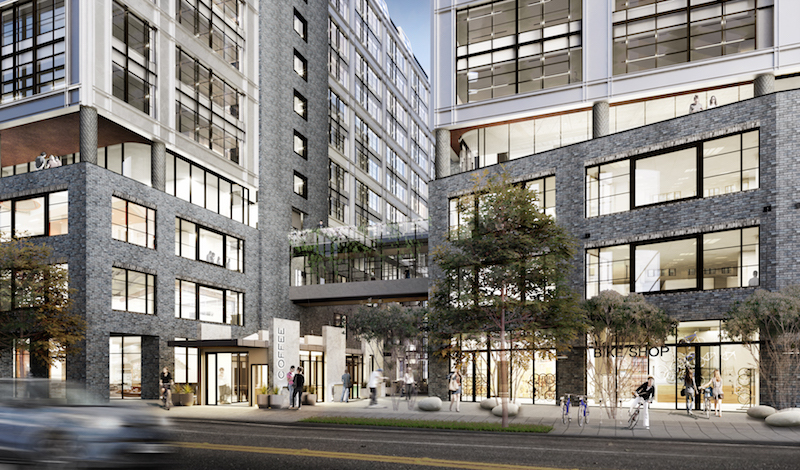 Turner Construction Seattle is the contractor, Kendall/Heaton Associates is the associate architect, and BioMed Realty is the developer of the project. Dexter Yard is slated for a late 2020 opening.